Specializing in delivering bulk products including (but not limited to) foundry sand, bond, scrap, coal or aggregates. Rather you bring in by the truck or by rail, we can help you trans load your products. We have cold storage, heated storage and yard storage. Contact us for more information. PRM Trucking can unload your merchandise, store it and reload it. Do you need to just drop your trailer? PRM Trucking can help! 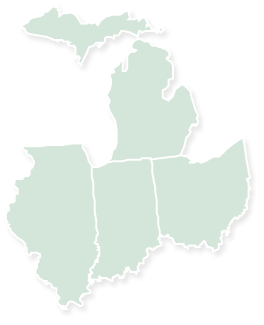 PRM Trucking primarily operates in Michigan, Ohio, Indiana and Illinois.